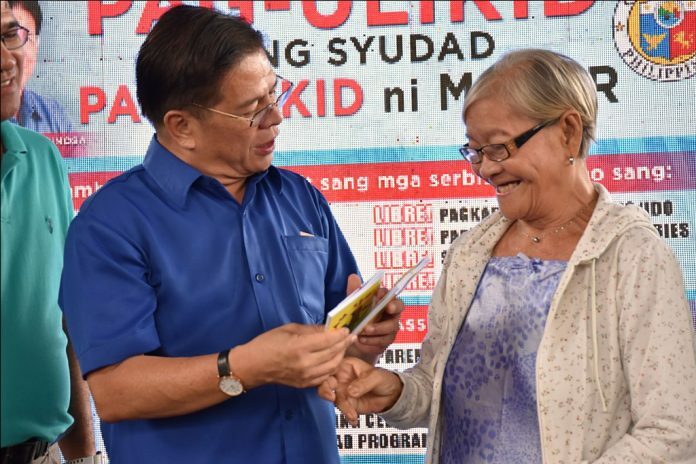 A senior citizen from Barangay Mansaya, Lapuz, Iloilo City is delighted to receive her senior citizen’s credentials – an identification card and booklet – from Mayor Jose Espinosa III. Through these, she can avail herself of privileges intended for the elderly. For two successive days (Aug. 3 and 4, 2018), a total of 16,500 barangay residents in the districts of Lapuz and Molo availed themselves of free city government services through the community outreach program Pag-ulikid sang Syudad, Pag-ulikid ni Mayor. 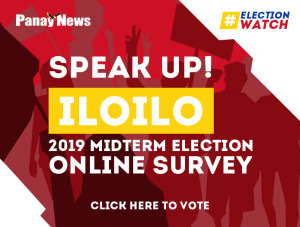 ILOILO City – Not everybody has the wherewithal to go to the city hall in the City Proper to avail themselves of city government services, especially those in far-flung barangays. The Pag-ulikid sang Syudad, Pag-ulikid ni Mayor program addresses this concern. For two consecutive days (Aug. 10 and 11), this community outreach program designed by Mayor Jose Espinosa III served over 24,000 residents in the districts of Jaro and Arevalo. In Jaro’s Barangay Lanit on Aug. 10, villagers benefited from free medical checkup, tooth extraction and circumcision. This was the first time in the city’s history that city hall services were directly brought to the people, according to City Administrator Hernando Galvez. Those from the neighboring villages of Tagbak, Camalig and Buntatala also partook of these city government services and more – anti-rabies vaccination of pets such as dogs, free processing of identification cards for senior citizens, and processing of birth certificates and/or correction of erroneous entries in the birth certificates. On the other hand, persons with disabilities were given wheelchairs while the youth received sports equipment. One of those grateful beneficiaries was a Barangay Lanit mother of three children, one of whom was suffering from cerebral palsy. The mother wanted to work so she could augment the family’s daily income (her husband was a tricycle driver) but she had no one to entrust her third child who had cerebral palsy. The free wheelchair given her would be of great help, said the mother. She would not have to carry her child in her arms all the time, she explained, thereby giving her the opportunity to do other tasks. Over 3,500 persons from the four Jaro barangays availed themselves of free city government services. Because Jaro was such a wide district, a separate wave of Pag-ulikid was conducted that same day in the village of Bitoon. Those from the neighboring village of Balabago also came over for free city government services. 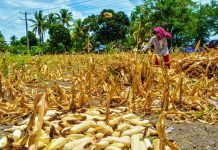 Overall, more than 4,500 residents of barangays Bitoon and Balabago were served. 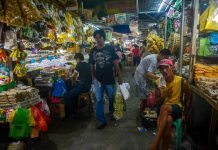 Mayor Espinosa said “Pag-ulikid” is basically letting the people feel that the government is working for them. From Jaro, the city government’s Pag-ulikid team proceeded on Barangay Santo Nino Sur, Arevalo district on Aug. 10, serving over 7,000 more Ilonggos. Those from the neighboring villages of Sto. Domingo, Mohon, Sta. Cruz, and Bonifacio also flocked to Barangay Santo Niño Sur to avail themselves of free city government services. The following day, Aug. 11, the Pag-ulikid team returned to Arevalo, but this time serving the residents of Calaparan, Calumpang, Yulo Drive, Santo Niño Norte, Dulonan, Santa Felomina, and San Jose.